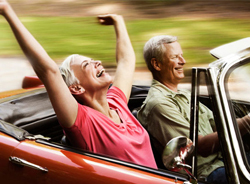 The best senior citizen communities promote an active retirement for their residents. After all, staying active improves health all around and better enables seniors to enjoy their retirement! Among Florida retirement communities there are great places like Vienna Square. This community offers housing in which you own the land, as well as a clubhouse with plenty of options for activities and entertainment. With so many convenient features that enable both independence and activity, it is a great place for any senior. Imagine a life in which the library, the gym, and a variety of other activities were just down the road. At Vienna Square, this life can be yours. The clubhouse at Vienna Square has a ballroom, a fitness center, and a movie theater, and hosts plenty of scheduled activities. There is also a heated pool, a whirlpool spa, and even a tennis court in this great community. If you want to maintain your independence, that is not a problem at Vienna Square. With the housing options you own the land and can choose which floor plan best suits your life. From single-story homes to maintenance-free villas, you can pick the one that best meets your needs and offers you the space and convenience that you want. 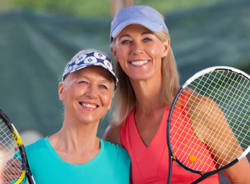 Staying active is an important part of a healthy retirement. Ideally, senior citizen communities have offerings that make it easy for their residents to be active while enjoying their golden years. Vienna Square’s amenities include plenty of opportunities for an active lifestyle, but so does its location. Conveniently located in central Florida, it is near several theme parks including Busch Gardens, Sea World, the Universal parks, and the Disney parks!While visiting theme parks may not seem like a lot of exercise, it is easy to walk a few miles without even noticing! 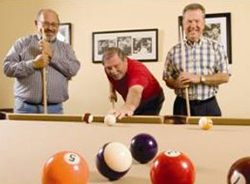 When you live at Vienna Square, it is easy to maintain an active lifestyle and get the most out of your retirement. Choosing a place to live during retirement can be intimidating, but with an option like Vienna Square, the choice doesn’t have to be difficult. 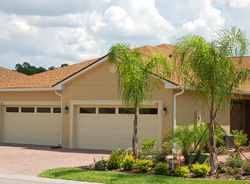 Consider the benefits of the community combined with the ability to stay active and enjoy life in central Florida. When you own your own land, enjoy benefits like a clubhouse, and can stay active in a fitness center or by exploring all that Florida has to offer, the choice is easy. Vienna Square offers the best of both worlds and is a great choice among senior citizen communities!